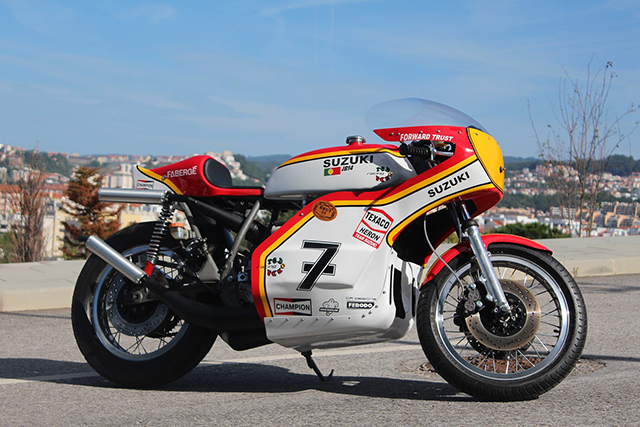 Being a self confessed fan of full fairings on vintage bikes and also a huge fan of the legendary Barry Sheene, this Suzuki TR750 was always going to resonate with me on many levels. 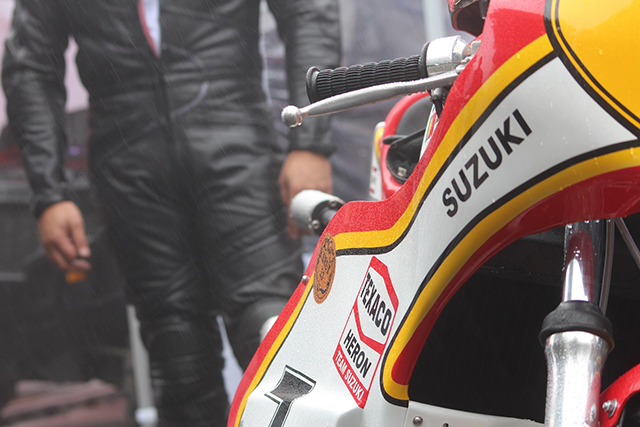 It’s hard to believe that it has been over 10 years since the world of racing lost Barry Sheene. 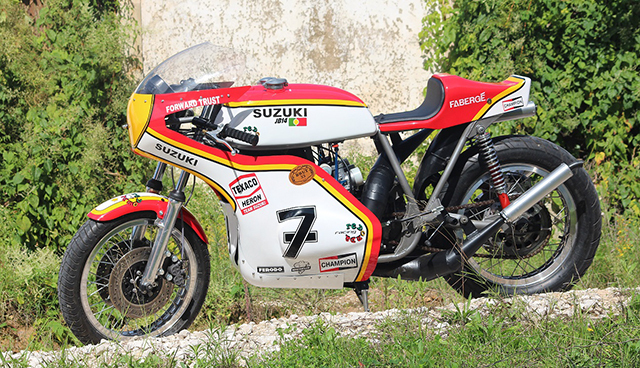 This stunning tribute bike has been built by a small shop in Portugal called Redonda. They specialize in building race bikes for the road, off-road and are also developing some interesting electric bikes. 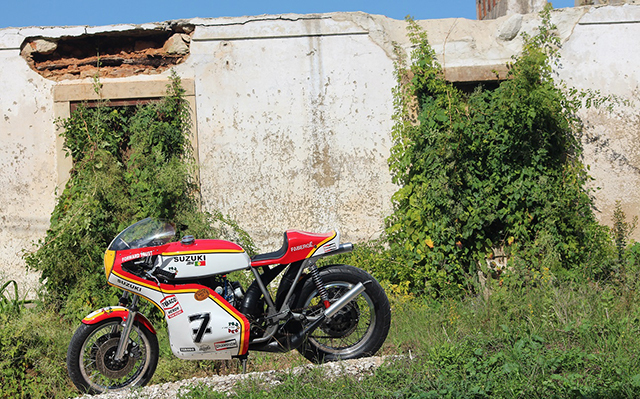 JP Barranca is the head honcho at Redonda and has had long career in the motorcycle industry. 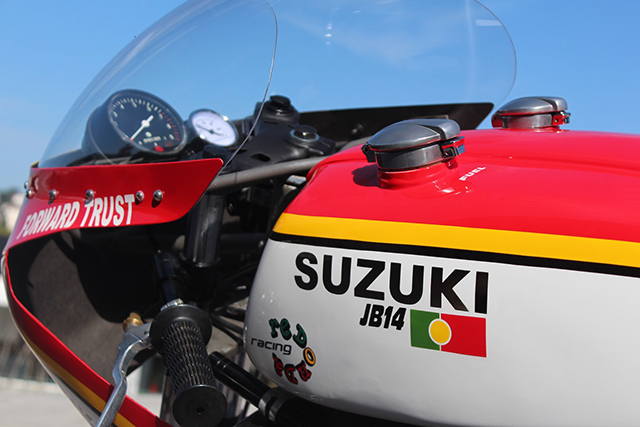 JP has a passion for all motorbikes but has a particular soft spot for vintage two strokes. 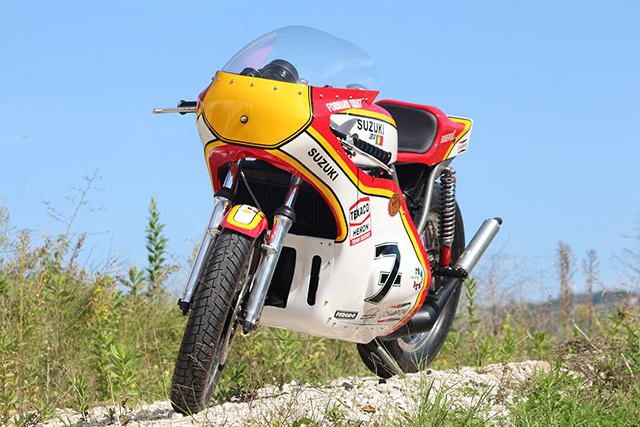 The base for this project was a stock 1976 Suzuki TR 750. “Since the beginning of the project, everything was about reducing the weight and increasing the speed.” says JP. The 2-stroke 750cc 3-cylinder engine was completely rebuilt like new and all the original electrics have been updated with modern replacements. 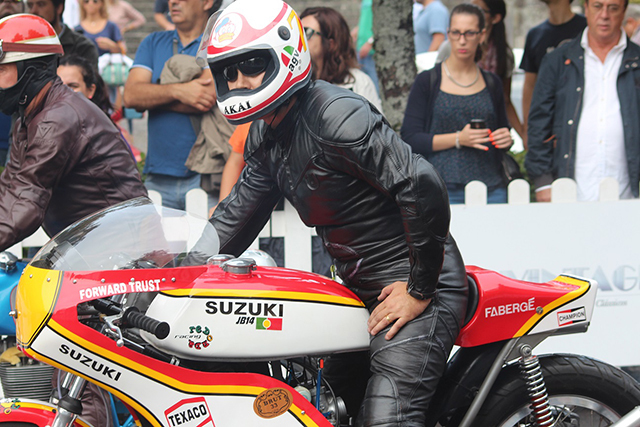 “The construction of the tank was a big challenge because the oil tank was placed inside the fuel tank.” he says. The entire braking system has also been upgraded to give the bike race quality braking. The original wheels were swapped for a set of beautiful Borrani wheels. 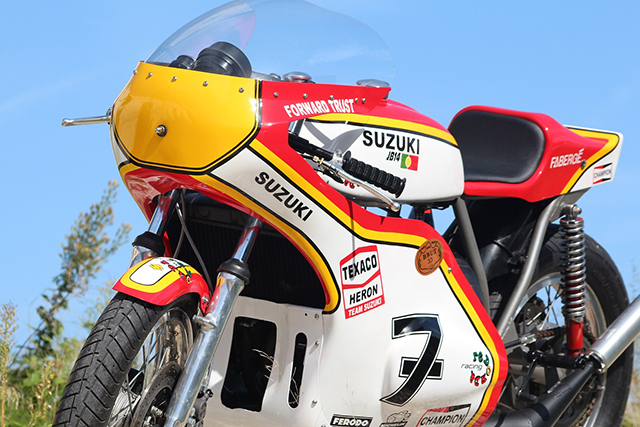 The fairing is a Barry Sheene replica and obviously the livery, decals and number 7 are all homage to the two-time GP champion and motorcycling legend. JP has even created a matching helmet, with Barry’s trademark duck on it. JP recently took the bike to the track to try and put some holes in the knees of his leathers. Although he wasn’t quite as quick as Barry, he still managed to beat many Yamaha’s, Honda’s and Kawasaki’s – Bazza would be proud.